Are you a swimmer? New River Tuber? Beachbum perhaps?? Whatever the case, this premium beach towel is exclusively designed for CC, and uses comfy fabric that will last! Rollover the image for a closer look. 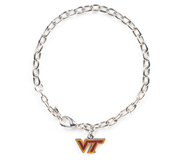 Take this memorable item to the next big game, event or night out and be sure to stand out!! Your Classic, but awesomely designed lanyard! Don't just drink water, drink water in STYLE! With this durable and cool elongating, super-cool tumbler! 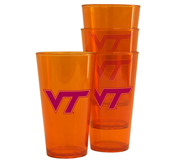 Your classic 2pack VT pint set, that no VT student should ever be without!! 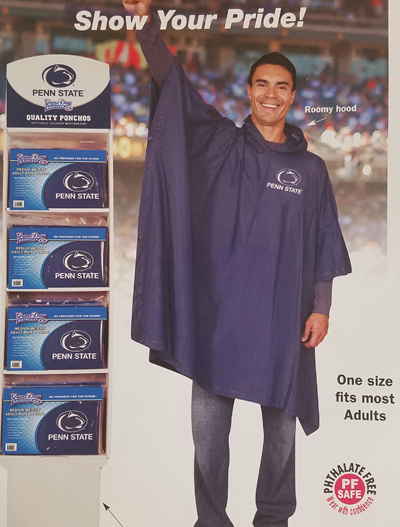 Going to a big game? How about a hike in the valley? Maybe even a picnic with that special someone?!? 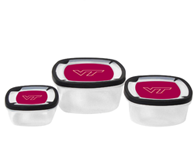 Show your school spirit with these durable food containers!! I'm sorry my car is cooler than yours, with these super awesome Car Coasters! 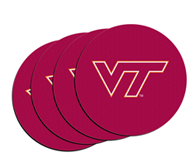 They are washable and smaller than a normal coaster so they are the perfect accessory to your vehicle! 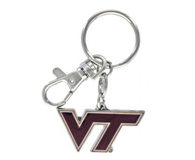 Stand out from the crowd with this super awesome and versatile key chain. 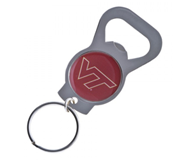 No you didn't just show up to this tailgate with your VT COOL 6?!?! 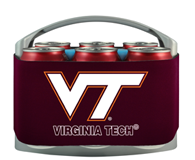 This 6 can caddy will insulate on the outside and keep your drinks cool with frozen liquid on the inside. For When You Mean It!! 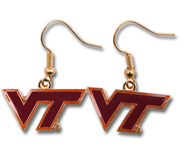 These earrings are the perfect fit for any Hokie. Note the lighting makes them look like the metal is gold, but it's a silver metal piece that goes through the ear! A cool keychain built to last. Most precious item. It's perfect and you know it!!! This is a practical item that will last. 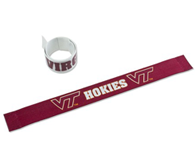 You never know when it will rain in Blacksburg, or during a big game, or when hiking in the nearby mountains. 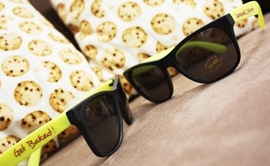 Make sure you have one of these for your next adventure! Rollover thumbnail for full image. 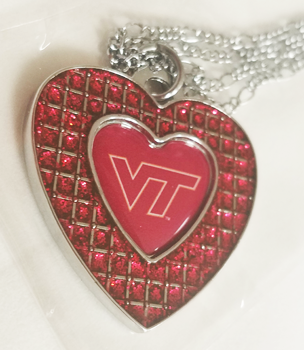 Do you or your Hokie travel? Well they will now be doing it in style with this awesome, cool, durable, and large bag tag that can be placed around your checked bag/carry on and help you identify your bag! 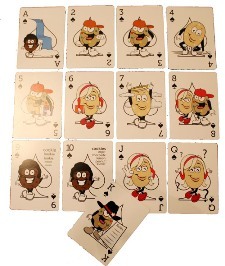 A fun and versatile item that will be a conversation starter for you at your next event. 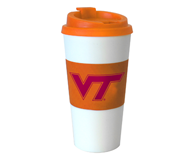 Do you or your Hokie drink coffee, well, here you go! 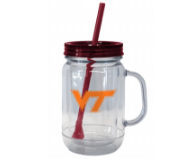 The perfect traveling hot beverage tumbler that's easy to wash and will surely keep you warm as you attempt to make it across the Drillfield! 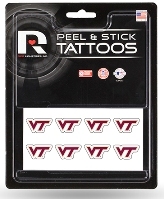 For the Professional or soon to be Professional Hokie. 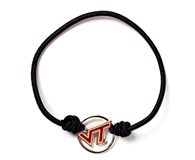 We know you or your loved one has plenty of hair ties, but we bet they don't have something as special as VT hair ties they'll use and keep! 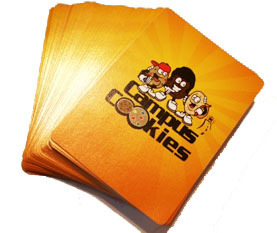 A Full Deck of Custom Campus Cookies 'Kings' Playing Cards with a Unique Cookie Graphic on Each Card! 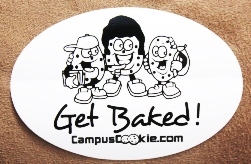 Campus Cookies Lighter with Bottle Opener.